Find all Nintendo Wii U Download Code stores and prices to download Mario Kart 8 Pack 2 Animal Crossing and play at the best price on your Nintendo Wii U. Activate the Mario Kart 8 Pack 2 Animal Crossing Download Code on the Nintendo eShop to download your Wii U game. You can participate to these tests by adding reviews about your Nintendo Wii U Game Download Code purchase in the store review page. 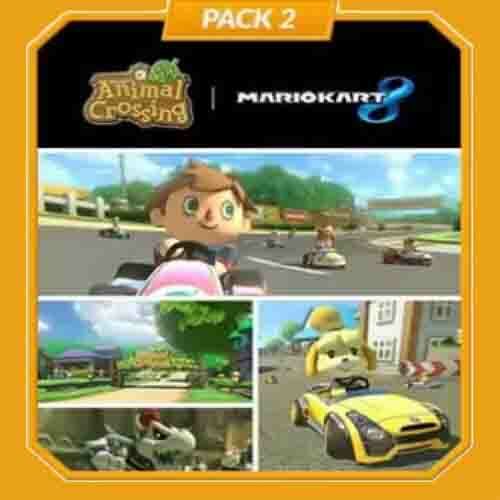 Enjoy the best deals for Mario Kart 8 Pack 2 Animal Crossing Nintendo Wii U Game Download Code with Allkeyshop.com! There is 1 offer at 8.18€. NINTENDO GAME CODE EUROPE : This is Mario Kart 8 Pack 2 Animal Crossing Download Code for Nintendo Europe Console. Use the Digital Game Code on the Nintendo eShop of your Console. Once connected to the Nintendo eShop, you can enter and redeem the Download Code. Read carefully the store description about any language and region restrictions.